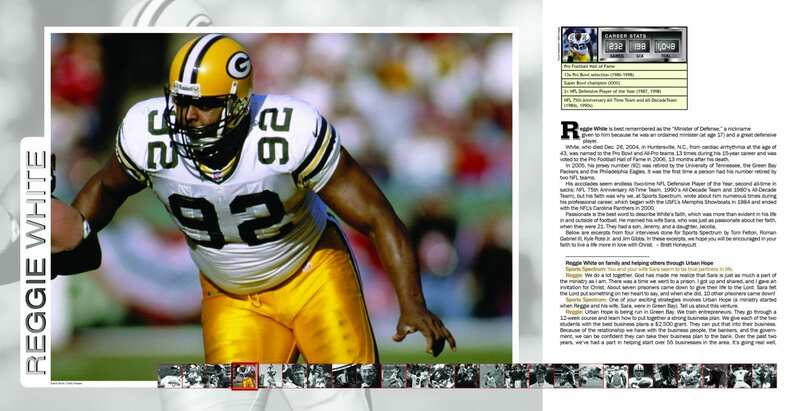 Editor’s note: This story was originally published in Sports Spectrum’s 25-year anniversary issue. 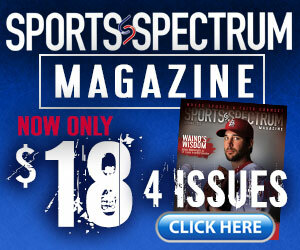 To order a copy, please go to www.sportsspectrum.com/sstore/. Pro Football Hall of Fame coach Thomas Wade Landry was born in a place with a name that’s a good description for his life – Mission. As a young man he left that Texas town for his first task – taking to the air. No, he wasn’t developing serious hang-time as a punter, but he was serving three years and 30 B-17 missions as a first lieutenant in the Air Force during World War II. 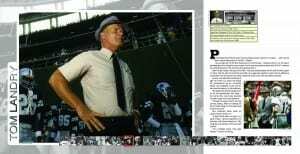 After his last mission, he took to the field – first as a football player (All-Pro and Pro Bowl player in 1954 with the New York Giants) and later as a legendary gridiron coach, first as defensive coordinator with the Giants and most notably as head coach with the Dallas Cowboys. Landry, who died from leukemia at age 75 on Feb. 12, 2000, will always be remembered as an innovative leader who projected a calm yet determined demeanor on the sidelines. His trademark fedora hat gave him an air of sophistication and class – two terms that could also describe his team’s play over many seasons. Through the years Landry had one primary calling. After committing his life to Christ at age 33, his desire was to serve his Lord. One important Bible verse for Landry was II Timothy 1:7. 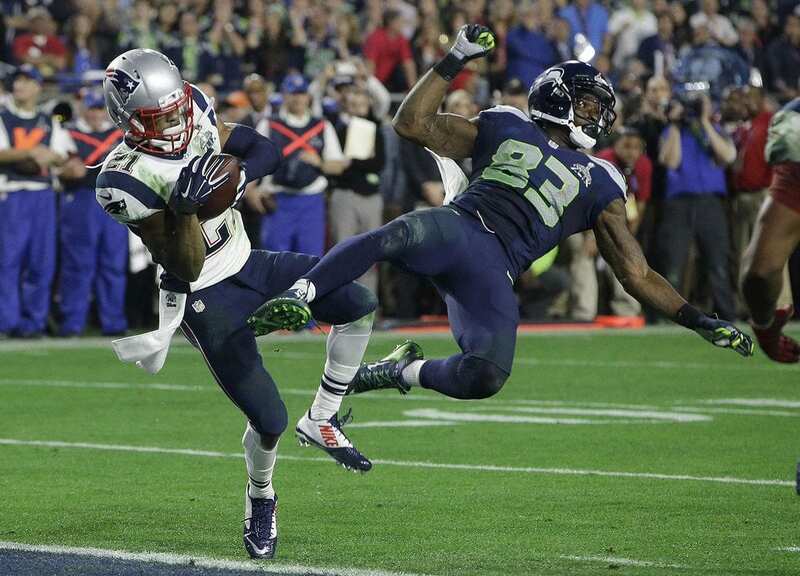 “For a football coach, that really helped,” he said, chuckling. He invented the now-famous 4-3 defense and flex defense and also the shot-gun formation for offenses. Landry’s innovative style helped him compile a record of 270-178-6, and lead the Cowboys to five NFC titles and five Super Bowls, winning two (Super Bowl VI in 1972, and XII in 1978) and 13 divisional titles. His 20 playoff wins as a coach are an NFL-best and his total victories are third all-time. More impressive than walking the sidelines as Dallas’ head coach for 29 years (1960-1988) was the NFL-record 20 consecutive winning seasons with the Cowboys (1966-1985). After he was finished with coaching, the two-time Super Bowl champion coach continued to keep a super schedule. He spoke several times each week and continued to work with the Fellowship of Christian Athletes and served on the Dallas International Sports Commission among other activities. Landry, who continued to teach Sunday School after he retired from coaching, was inducted into the Pro Football Hall of Fame in 1990. Despite having losing records his last three seasons, Cowboys fans still loved Landry and were upset at new owner Jerry Jones after he fired Landry and hired Jones’ college teammate, Jimmy Johnson. Three years later in 1993, though, Jones inducted Landry into the Cowboys’ famed “Ring of Honor” that honors past greats for the Dallas Cowboys. When Landry died in 2000, leaving behind his wife, Alicia, of 51 years, the Cowboys honored him by wearing a patch of Landry’s fedora that season. He and Alicia had three children (Tom Landry Jr., Kitty Phillips and Lisa Childers, who died in 1995 after battling liver cancer) and six grandchildren. The next season, in 2001, the Cowboys built a nine-foot, bronze statue that stood in front of Texas Stadium and is now in front of the new $1.1 billion Cowboys Stadium. Also that same year, a portion of I-30 was named Tom Landry Highway and two football stadiums (in his hometown of Mission and at Trinity Christian in Addison, Texas) were each named Tom Landry Stadium. Honoring a man like Landry was easy. Living up to what he accomplished on the field and in his personal life would be difficult for anyone. Coach, family man (his favorite activity was to relax with his wife, kids, and grandchildren), scholar (he has business and industrial engineering degrees), speaker, businessman. These words helped describe the unique man under the hat. To find out more about this man with a mission, read his autobiography, Tom Landry. But that wasn’t the most important book in his life. “To me, the Bible is everything.” he said. Sports Spectrum Managing Editor Brett Honeycutt contributed to this story.